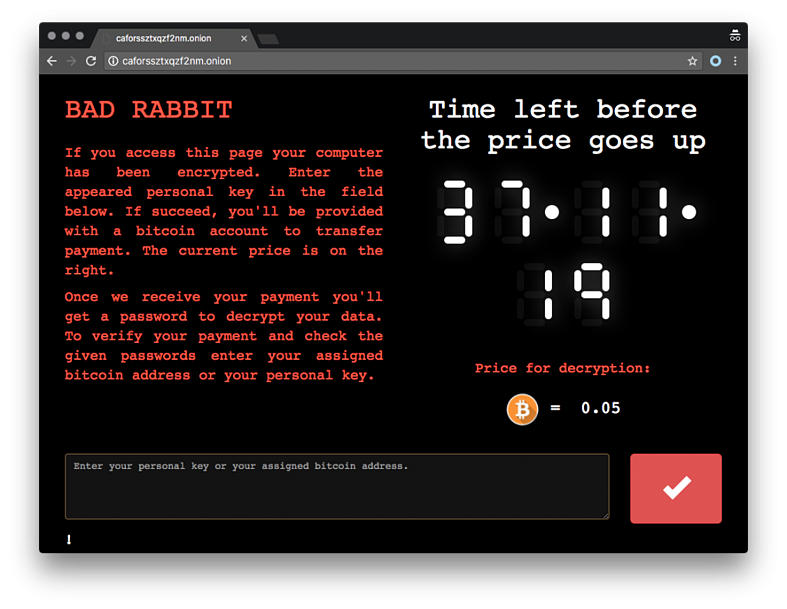 Organizations in Russia, Ukraine and a few hours later also the U.S. are under siege from Bad Rabbit, a new strain of ransomware which is basically a new, improved NotPetya version 2, the WSJ reported. Other sources did not include the U.S. yet, but that is just a matter of time. The outbreak started Tuesday and froze computer systems in several European countries. Department of Homeland Security’s Computer Emergency Readiness Team issued an alert saying it had received “multiple reports” of infections. UPDATE: Ukrainian authorities attribute BadRabbit ransomware to Black Energy, the threat group they also believe was behind NotPetya. Ukraine and many (most?) security experts believe Black Energy operates in the interest and under the direction of the Russian government. (Moscow denies this, and also denies that it's carried out cyberattacks against Ukraine.) The attack has fizzled out after a short time, meaning it was shut down by the controllers. 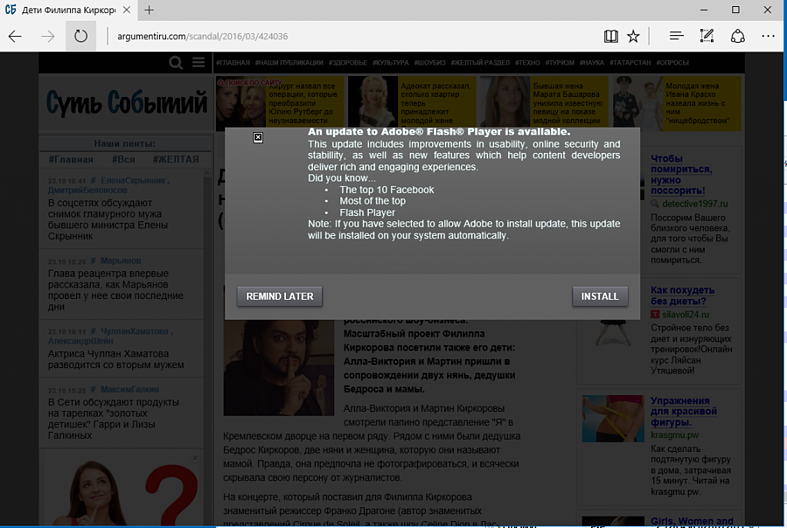 The outbreak appears to have started via files on hacked Russian media websites, using the popular social engineering trick of pretending to be an Adobe Flash installer. The ransomware demands a payment of 0.05 bitcoin, or about $275, from its victim, You have just 40 hours to pay. This is NotPetya v2.0, much improved over the earlier version. Our friends at MalwareBytes blogged: "The code has many overlapping elements to the code of Petya/NotPetya, which suggests that the authors behind the attack are the same. Again, they tried to compose their malicious bundle out of stolen elements, however, the stolen Petya kernel has been substituted with a more advanced disk crypter in the form of a legitimate driver." It looks like the authors tried to improve upon previous mistakes and wrap up unfinished business. So far, it seems that in the current release, encrypted data is recoverable after buying the key, which means the BadRabbit attack is not as destructive as the previous one." They fixed a lot of bugs in the file encryption process. 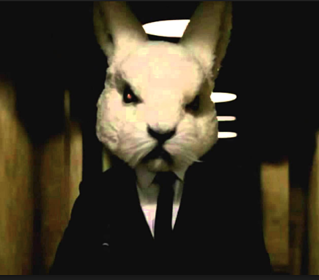 Based on analysis by ESET, Emsisoft, and Fox-IT, Bad Rabbit uses Mimikatz to extract credentials from the local computer's memory, and along with a list of hard-coded credentials, it tries to access servers and workstations on the same network via SMB and WebDAV. MimiKatz is a well known tool to extract plaintexts passwords, hash, PIN code and kerberos tickets from memory, and can also perform pass-the-hash, pass-the-ticket or build Golden tickets, link to Github. As opposed to some public claims, Bad Rabbit does not use the EternalBlue vulnerability like the NotPetya outbreak. It does scan internal network for open SMB shares though. As for Bad Rabbit, the ransomware is a so-called disk coder, similar to Petya and NotPetya. 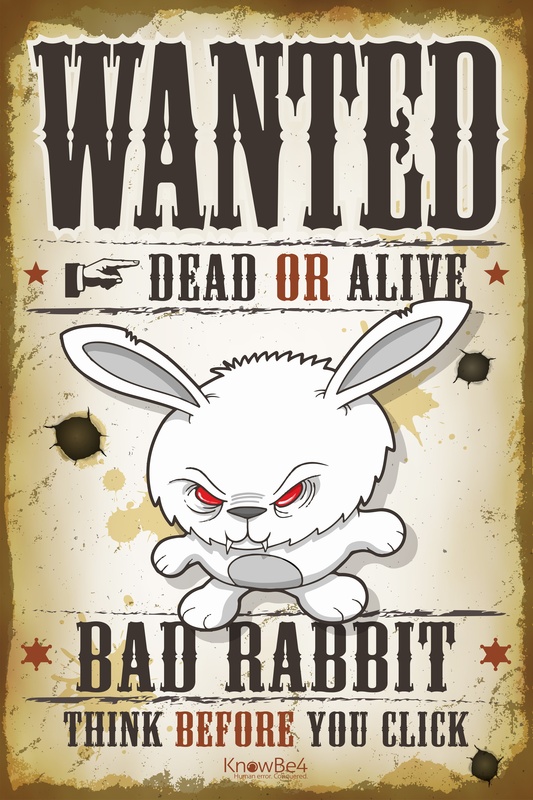 Bad Rabbit first encrypts files on the user's computer and then replaces the MBR (Master Boot Record). This means you need to buy two keys, one for the bootloader and one for the files themselves. This basically bricks the machine. More technical background at bleepingcomputer. Block execution of the files c:\windows\infpub.dat and c:\Windows\cscc.dat. Disable the WMI service (if it’s possible in your environment) to prevent the malware from spreading over your network. Here are detailed instructions if you are in a hurry. How weak are your user’s passwords? Are they... P@ssw0rd? Verizon's recent Data Breach Report showed that 81% of hacking-related breaches used either stolen and/or weak passwords. 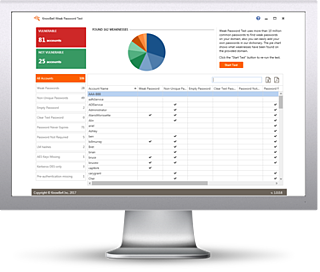 Employees are the weakest link in your network security, using weak passwords and falling for phishing and social engineering attacks.